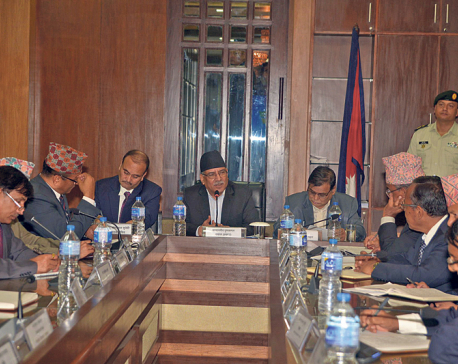 As the government has been conducting investigation into insurgency-era cases through the Truth and Reconciliation Commission (TRC) and the Commission of Investigation on Enforced Disappeared Person (CIEDP), they argued that the NHRC would also have to play its role in investigating conflict-related human rights violations. At a function organized to launch a book titled “Ending Impunity of Conflict-Related Human Rights Violations,” written by human rights expert Shiva Datta Bhandari, on Sunday, they said the NHRC could also play an important role to study the conflict related cases. Speaking at the function, Anupraj Upadhyaya, chairperson at NHRC, said that they would play an important role in investigating the complaints. “Before establishing the TRC and CIEDP, we had given several pieces of advice to the government. But now all those files have been lost,” he said. “The book also highlights the vital role of NHRC in transitional justice management,” writer Shiva Datta Bhandari, human rights expert, said.